The indoor HO/HOn3 layout inside the clubrooms that has large viewing windows for the many wide eyed young visitors to watch the vast array of trains running around inside. 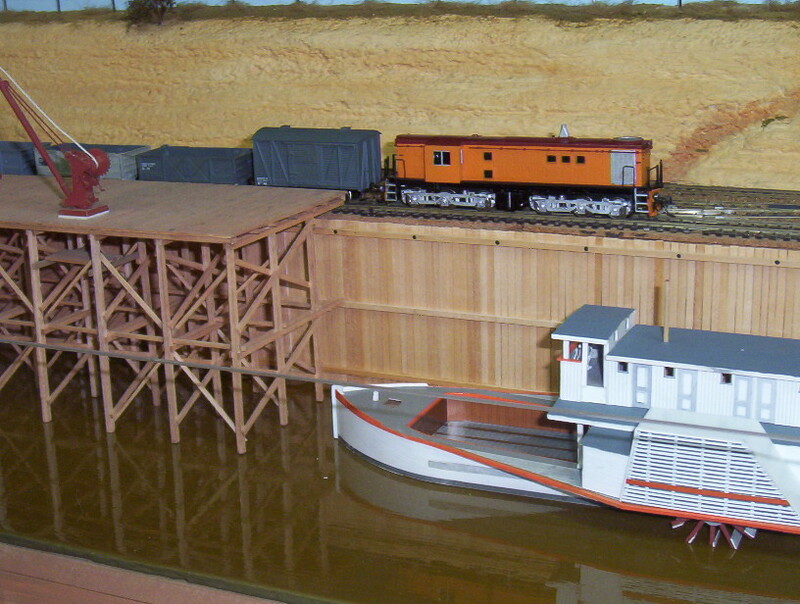 Many of the trains are Kit and scratch built models of Australian Railway prototypes. The scene includes an extensive railway station with associated goods sheds and sidings, a wharf area is located on the left of the layout with “Pervensey” waiting for loading. A narrow gauge”HOn3” track depicting SAR & CR trains operates on a higher level behind the main station.